For more information about our charters, including departure times, click here. 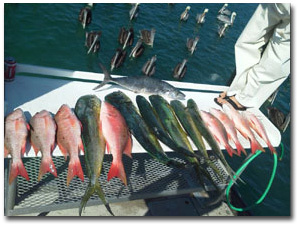 Charter Fishing in Jupiter, Florida has never been so convenient. 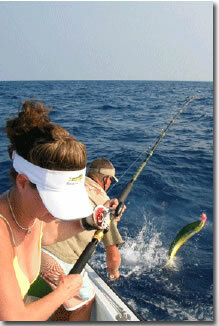 Fishing in Jupiter is some of the best in Southeast Florida. Jupiter, FL is actually known as a Funkly Little Fishing Village for its fishing focused lifestyle. Jupiter is known all around the world for the primier fishing it provides. Good Time Charter Fishing is located just minutes from Jupiter Inlet, Florida, and is in close proximity to local hotels and restaurants. 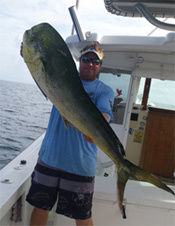 Come and enjoy a south Florida deep sea fishing experience with an incredible variety of fish, large and small, available on the reefs off of Jupiter. Whether you are looking to go charter fishing for dinner or for sport, great charter fishing action can be found year round. 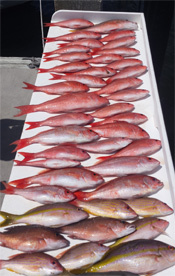 Deep sea fishing catches include snapper, grouper, dolphin fish, cobia, kingfish, trigger fish and a wide variety of other reef dwelling fish that are equally good to eat. 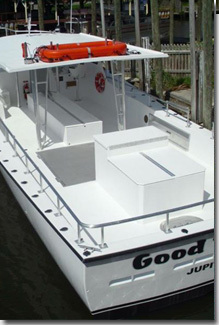 Good Time Charter Fishing in Jupiter Florida limits its fishing capacity to a maximum of 12 passengers to provide both comfort and excellent service to customers. Local fishermen love the fact that we catch a lot of fish, but we are also family friendly. 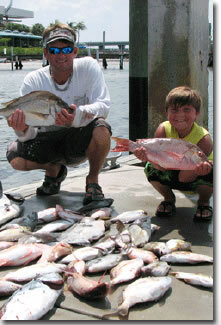 So, taking your family fishing on Good Time Charter Fishing while you are on vacation is a must. Our goal of showing fishermen and fisherwomen a "good time" is so important to us, that we put it in our name. We are also a Gray Taxidermy agent. If you catch a trophy fish that you would like to have mounted and hung on your wall, please let us know. You can now mount your catch and still take it home and have it for dinner. Jupiter, Florida has a rich history. Below are some of exerts from websites that give details about their histories. Please take time to read about our amaizng history. The area that includes the Town of Jupiter, Florida was called Jobe (Hoe-bay) by the Spanish, for the nearby Indian village. When the English arrived in 1763, they interpreted the name as Jove and referred to the area as Jupiter (in ancient mythology, Jove and Jupiter refer to the same god). Fort Jupiter was built in 1838 after a battle with Seminole Indians on the Loxahatchee River . The 9,088-acre Jupiter Military Reservation that was created around it in 1855 included the site of the Jupiter Inlet Lighthouse and the location of the second Fort Jupiter where the Fort Jupiter Post Office was activated from 1855 to 1856, during the Third Seminole War. The garrison's chronic illness and the inlet's tendency to close made the fort too difficult to man or supply and it was closed in 1860. Lighthouse keeper James Armour opened the Jupiter Post Office briefly during 1884. Three years of inactivity followed before Mary Moore "Mollie" Carlin reestablished the office in 1887 at the Jupiter Lifesaving Station , where her husband, Charles Carlin, was the keeper.